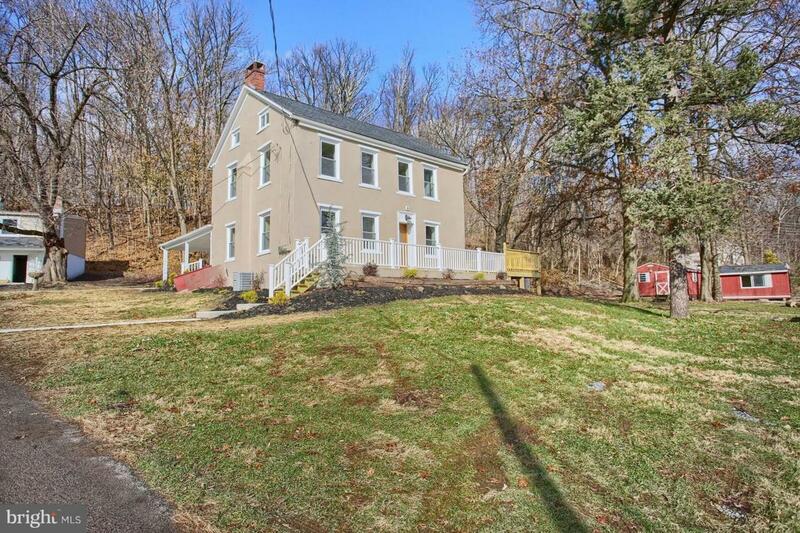 Welcome to this beautiful refinished farm house located at 285 Mill St in Boyertown. This property holds a farm house and cottage house above two garages. 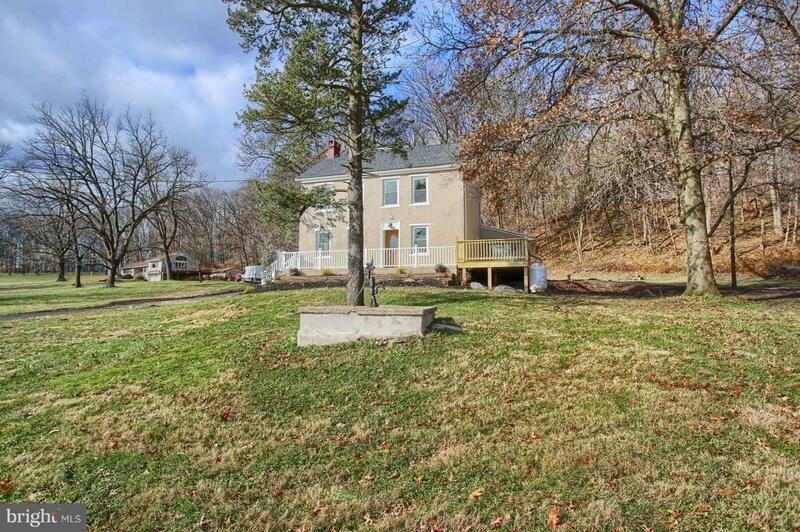 Enjoy this lovely 6+ acre home on an excluded private drive. The farm house was newly redone with all new flooring, paint, and fixtures throughout the whole house. Walk in through the side door to a beautiful kitchen. 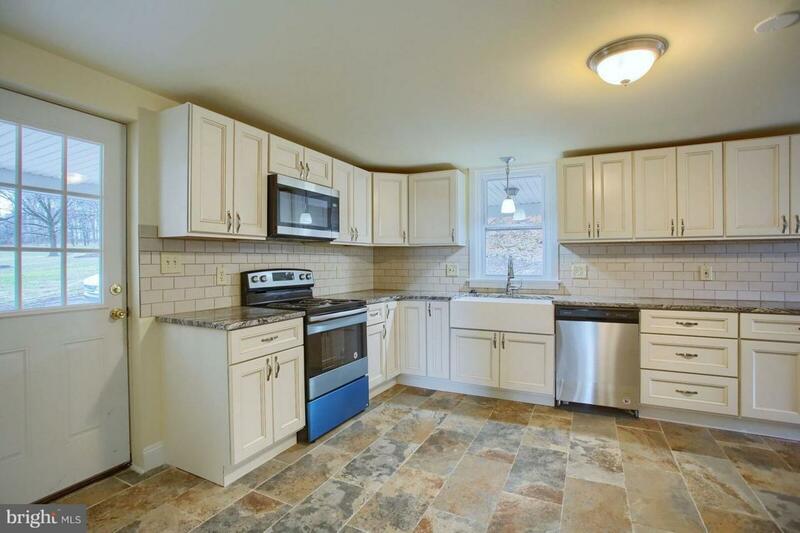 The kitchen has brand new appliances including refrigerator, stove, range, microwave and dishwasher. A country sink was added to accent the farm house feel. Lots of counter and cabinet space allows for the cook in the family to have plenty of storage and cooking space. The new granite counter tops, tile floors and tile backsplash give a modern feel to country living. The master bedroom is located off the kitchen. Enjoy a getaway in your own home with exposed beams and sliding doors that access the new extended deck. There is a master bath off this bedroom with brand new fixtures, shower, tile flooring and a beautiful new vanity. The first floor also holds a dining room, living room and family room. The dining/living room has a beautiful stone fireplace that runs on vent-less propane. There is also a built-in bookshelf and additional cabinetry for extra storage needs. The windows are all new and sit within a curved space displaying the unique architecture of the time period in which the home was built. Although this home was newly renovated, the owners tried to keep as much of the old farm-house feel as they could! 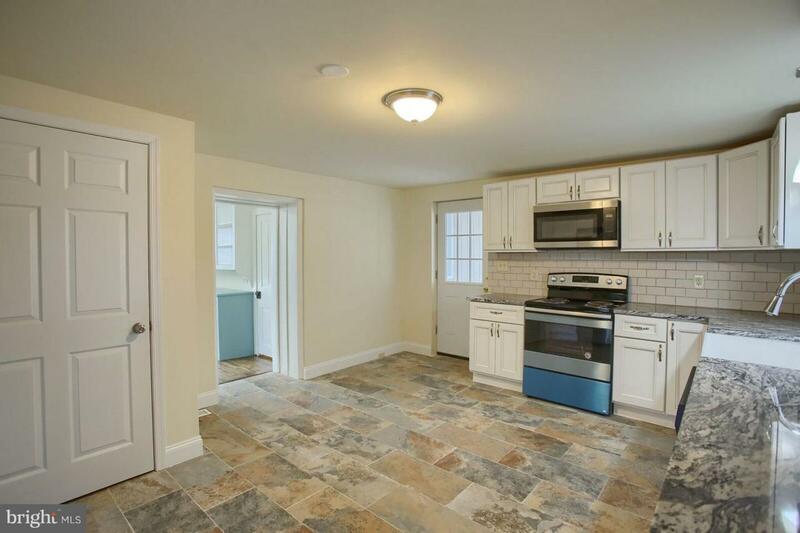 The second floor holds three bedrooms with finished hardwood floors, fresh paint, and new fixtures. There is also a full bath on this floor with a beautifully tiled tub shower, new vanity and new fixtures. The third floor was finished to be a fifth bedroom and has new wall to wall carpet. The carriage house has also been newly redone. It has endless possibilities! It can easily be rented out which would be a great way to offset your monthly mortgage payment or increase income. It could also be used as an in-law~s home, workshop, office space, kids home, and much more! It sits above two garages, both with new garage doors. There is a small porch off the entrance to the carriage house. This home holds three bedrooms and one full bath. The generous sized family room has built-in shelving, old wood stove, and lots of windows to allow for plenty of natural lighting. The wood stove is not working but works well for decoration! The kitchen has new granite counter tops and tile floors. It also has a double sink and stove oven. It has a separate Met-Ed bill which makes it easy to rent out. The main farm house was recently switched to propane heat with a new high efficiency propane heater. It also has a new electric water heater and two new 100amp electrical panel. There was a new high efficiency central air system installed. The third floor does not have central air, but windows are large enough for window A/C unit. The third floor and master bedroom have an electric baseboard for heating. There is a brand-new roof with life time manufacturer~s warranty! Main house is 2,684 sq.ft.The cottage house runs on oil heat and does not have central air. There is a newer electric water heater. The roof is newer, and some parts were recently replaced. There are three sheds on the property all with new roofs as well. Cottage house is 1,081 sq. ft.Don~t miss out on this amazing opportunity! Schedule your showing today!